The Baltimore Park neighborhood of Larkspur has long been a sought after slice of Marin real estate. It's also home to my current listing-a 2 bedroom 1 bathroom charmer. This property features an open floor plan, highlighted by hardwood floors, master bedroom and convenient kitchen with gas range. Enjoy the large level backyard, which sports a lush lawn and mature fruit-bearing treas. The covered courtyard with extra half bathroom is perfect for entertaining. 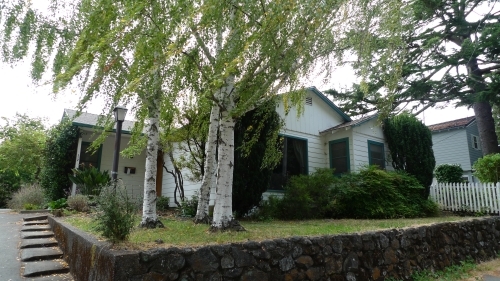 Located just two blocks from downtown Larkspur, you'll enjoy the walk to great restraunts, stores and schools. For more information go to the property website: www.112MonteVista.com.